World energy policy is gripped by a fallacy — the idea that coal is destined to stay cheap for decades to come. This assumption supports investment in ‘clean-coal’ technology and trumps serious efforts to increase energy conservation and develop alternative energy sources. It is an important enough assumption about our energy future that it demands closer examination. There are two reasons to believe that coal prices are likely to soar in the years ahead. First, a spate of recent studies [1–5] suggests that available, useful coal may be less abundant than has been assumed — indeed that the peak of world coal production may be only years away. One pessimistic study  published in 2010 concluded that global energy derived from coal could peak as early as 2011. Second, global demand is growing rapidly, largely driven by China. Demand rose modestly in the 1990s (0.45% per year), but since 2000 it has been surging at 3.8% per year. China is both the world’s biggest producer of coal (40% of global production) and its biggest consumer. Its influence on future coal prices should not be underestimated. Economic shocks from rising coal prices will be felt by every sector of society. Better data on global coal supplies is long overdue and energy policies that assume a bottomless coal pit need rethinking urgently. Forecasting future supplies of coal is a murky business, largely because of the unreliability of national estimates. China claims that it has enough coal to fuel its growing economy at current rates. According to data collected in the 2000–10 national resource survey by the China’s Ministry of Land and Resources, the country’s proven reserves of coal total 187 billion tonnes, the second-largest reserves after the United States. For China, that is about 62 years’ worth of coal — at 2009 rates of consumption (roughly 3 billion tonnes a year). This simple ‘lifetime’ calculation is popular with industry and politicians but it can generate a false sense of security over the actual state of reserves. ‘Proven recoverable reserves’ are estimates of the national coal resources that geologists believe are technically and economically feasible to mine. New mining technology and higher coal prices could, in principle, increase the size of those reserves. But the overwhelming global trend, as revealed by national coal surveys over the past few decades, is for the size of countries’ estimated reserves to shrink as geologists uncover restrictions — such as location, depth, seam thickness and quality — on the coal that can be practically extracted. For example, both German and South African reserves have fallen by more than one-third between 2003 and 2008. The first British coal survey, in the nineteenth century, suggested that the nation had enough coal to last 900 years. The current reserves lifetime is only 12 years , and the British coal industry is a tiny fraction of its former size. Similarly, the first official US coal survey, in the early twentieth century, suggested that the country had enough coal for 5,000 years. That estimate shrank to about 400 years in 1974 and stands at 240 years today. There are exceptions to this trend: estimates of reserves in Indonesia and India have grown. However, in aggregate, estimates of global coal reserves have dropped at a faster rate in recent years than can be accounted for by mining alone. China’s reserves were last surveyed in the early 2000s, and the US reserves in the 1970s. China does not possess, as the United States does, vast deposits of surface-minable coal. More than 90% of China’s coal comes from underground mines that can be as much as 1,000 metres deep, presenting increasing engineering challenges. We strongly suspect that the current reserves figures are too optimistic. The coal is certainly there, but — like the majority of coal elsewhere in the world — most of it is probably destined to stay put. One way to estimate future production is to look at past production trends. This method was pioneered by geophysicist King Hubbert, who used 1950s data from the US oil industry to predict that US oil production would peak in the early 1970s. It did. Hubbert production profiles plotted over time assume the shape of a distorted bell curve, with a short peak and gradual decline (see graphic). Applying Hubbert analysis to coal, Chinese academics Tao and Li  forecast in 2007 that China’s production will peak and begin to decline long before the simple 62-years estimate, perhaps as early as 2025. During and after the period when production peaks, resource quality will dwindle and mining costs will rise, pushing up coal prices, as is already beginning to happen with Asia-Pacific coal. Tao and Li used the Chinese government’s latest official reserves figure of 187 billion tonnes to arrive at their peaking date between 2025 and 2032. Other forecasts are more pessimistic. A 2007 forecast3 by the Energy Watch Group, based in Berlin, used a reserves figure of 114.5 billion tonnes (reported by China to World Energy Council in 1992) to forecast a peak of production in 2015, with a rapid production decline commencing in 2020. Analogous concerns raised in 1998 about the end of cheap oil  proved prescient. 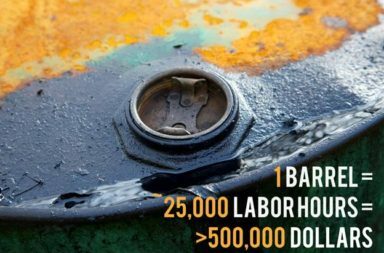 The price of oil has grown substantially since then, as have the costs of finding and extracting new supplies. The current price of more than US$80 per barrel is about three times higher than the upper range in official forecasts for 2010 that were being issued in the late 1990s . New technologies have made marginal oil reserves accessible, but deepwater drilling and oil-sands production entail high costs and risks. Similarly, new technology — underground coal gasification — may eventually make marginal coal reserves accessible, but it will take time and substantial investment to commercialize on a large scale. Meanwhile, the world’s highest-quality and most-accessible coal reserves are disappearing as demand for the fuel grows. Coal consumption is accelerating fast, notably in China (see graphic). This renders meaningless reserves-lifetime figures calculated on the basis of flat demand. A 2009 report from China’s Energy Research Institute forecast that coal demand would rise by 700 million to 1 billion tonnes by 2020, reducing the reserves lifetime to about 33 years. If coal demand grows in step with projected Chinese economic growth, the reserves lifetime would drop to just 19 years . China has few options for reducing its reliance on coal. It uses coal in many more industries than the United States, where coal mostly fuels power generation. About half of China’s coal provides 80% of the country’s electricity supply; another 16% supplies the coke for its iron and steel industry, the largest in the world. Hundreds of millions of people in northern China consume another 6% for their winter heat supply. The remaining 28% is primarily used in industries such as cement, non-ferrous metals, and chemicals. Although China is rapidly expanding its supply of natural gas, to replace just the coal used for heating would double its total gas consumption. Urbanization is also driving demand for coal. Less than half of China’s population now lives in cities (compared with 80% for the United States and the European Union). To improve living conditions and opportunities for its citizens, the government wants the urban population to grow by 350 million people over the next 15 years, all of whom will require infrastructure such as housing, energy, transport, water supply and waste treatment. This will necessitate a steady supply of building materials such as cement, steel, aluminium and copper, all of which depend on coal for their production. Over the next decade, economic growth and urbanization are expected to use at the very least 700 million tonnes of coal — assuming that aggressive energy-efficiency and alternative-energy targets are also met . Can China go elsewhere for its coal? The United States has the world’s biggest reported reserves, but almost all its current production — 1 billion tonnes — is used domestically. The biggest exporters of coal, Australia, Indonesia and South Africa, have much smaller reserves and production rates — some 250 million to 400 million tonnes a year. In 2008 the entire seaborne trade in steam coal (mainly used by power plants) amounted to about 630 million tonnes. Although this could grow (Australia, Russia and Indonesia are expanding capacity), growth will be limited, and prices pushed up, by the need to construct mines, railways and ports. Russia has large but mostly undeveloped coal resources in Siberia. They are not located near demand centres, and rail transport of coal is expensive (which is why the largest exporters are coastal and trade is waterborne). Nevertheless, Russia could export Siberian coal to China more easily than to Europe, especially if China helped to build the railways. China alone could absorb all current Asia-Pacific exports with just three years of import growth at current rates. Because other countries in the region also depend on coal imports, China clearly cannot take all, but competition for imports drives up prices. And then there’s India, where imports are expected to nearly double to 100 million tonnes by 2012. India is one of the few countries to revise its reserves estimates upwards in recent years, but its higher-quality reserves are limited and it is importing increasing quantities. The inevitable result of soaring demand and dwindling supply will be rising coal prices globally, even in nations that are currently self-sufficient in the resource. The poor quality of coal data globally means that uncertainty clouds every forecast. Even in the technologically advanced United States — the ‘Saudi Arabia of coal’ — most experts rely on decades-old coal surveys. These are commonly interpreted as indicating that the nation has a coal supply with a 250-year lifetime. This figure is not reliable enough for strategic energy planning. In terms of energy output, US coal production peaked in the late 1990s (volume continued to increase, but the coal was of lower energy content). In 1995 the US Geological Survey (USGS) promised a new national coal survey, but it has not been seen as a high priority by that organization or by Congress. The most recent surveys , of two key mining regions show rapid depletion of high quality reserves. There is still an enormous amount of US coal, but whether future energy production can be increased is doubtful, even taking into account new mining areas in Montana, Alaska and the Illinois basin. At the very least, the USGS should urgently complete a new national coal survey. And it is essential for the security of energy supplies globally that Chinese domestic coal production and the timing of its likely decline is better understood. We believe that it is unlikely that world energy supplies can continue to meet projected demand beyond 2020. Therefore, new limits on energy consumption will be essential in all sectors of society — including agriculture, transportation and manufacturing — and will be imposed by energy prices and shortages if they are not achieved through planning and policy. Supply limits also have implications for the development of clean-coal technology. Also known as carbon capture and storage (CCS), clean coal is one proposal for reducing greenhouse-gas emissions while growing energy supplies. Because maintaining economic growth while cutting coal out of the energy equation globally will be difficult, and because nearly everyone assumes that coal will remain cheap far into the foreseeable future, the idea is to keep the carbon dioxide produced by burning coal from going into the atmosphere. There are two hitches: the difficulty of scaling up such an enterprise, and its effect on electricity prices. As many analysts have noted, the scale and cost of clean-coal infrastructure will be vast . Energy analysts agree that this will boost the price of electricity, but the scheme could work if coal prices remain low. If they don’t, building new coal plants — conventional or clean — makes little economic sense, except to replace ageing inefficient infrastructure. Nations should immediately begin to plan for higher fossil-fuel prices and to make maximum possible investments in energy efficiency and renewable-energy infrastructure. Even then the world will have to accept a slowdown in economic growth. Richard Heinberg and David Fridley are at the Post-Carbon Institute in Santa Rosa, California 95404, USA. 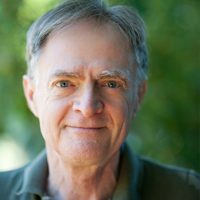 Heinberg is the author of nine books, including Blackout: Coal, Climate, and the Last Energy Crisis. Originally published November 18, 2010 in Nature Vol 468. Republished with permission. 1. Patzek, T. W. & Croft, G. D. Energy 35, 3109–3122(2010). 2. Mohr, S. H. & Evans, G. M. Fuel 88, 2059–2067(2009). 5. Höök, M., Zittel, W., Schindler, J. & Aleklett, K. Fuel 89, 3546–3558 (2010). 7. Tao, Z. & Li, M. Energy Pol. 35, 3145–3154 (2007). 8. Campbell, C. J. & Laherrère, J. H. The End of Cheap Oil. Sci. Am. (March 1998). 9. Energy Information Administration. Annual Energy Outlook 1998 (DOE/EIA, 1997). 10. 2050 China Energy and CO2 Emissions Report (in Chinese) Science Press, 2009). 11. Luppens, J. A. et al. Assessment of Coal Geology, Resources, and Reserves in the Gillette Coalfield, Powder River Basin, Wyoming. Open-File Report 2008-1202 (USGS, 2008). 12. Coal Reserves of the Matewan Quadrangle, Kentucky — A Coal Recoverability Study. US Bureau of Mines Circular 9355 (USGS, 2003). 13. Strategic Analysis of the Global Status of Carbon Capture and Storage. (Global CCS institute, 2009).